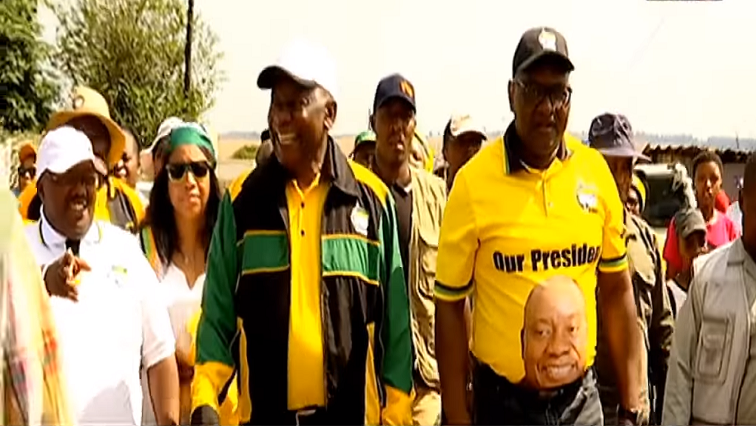 ANC has strategy to address crime in communities: Ramaphosa - SABC News - Breaking news, special reports, world, business, sport coverage of all South African current events. Africa's news leader. Ramaphosa received a warm welcome from community members. The ANC’s election campaign is underway in Port Elizabeth. President Cyril Ramaphosa says the ANC has developed a strategy to address the scourge of violence in the crime-ridden communities of the country. He is addressing dozens of community members from Kleinskool at the George Botha community hall. The President is expected to also visit other areas in the Bay including New Brighton and Motherwell. Earlier, Ramaphosa received a warm welcome from the community.